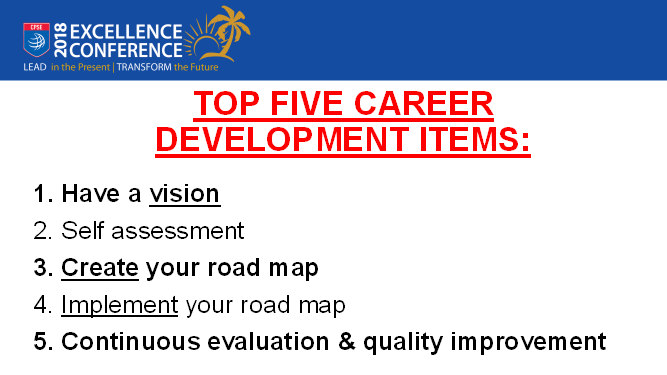 The term career development is usually used in a way that is not too flattering for the fire department in question. I say that because career development is not always at the top of everyone’s to-do list, given all of the other daily priorities, not to mention lack of funding to support it. However, if you want to be successful in your career, you have to take the bull by the horns and be proactive. Waiting until you’ve had 20 years on the job to decide you want to take the next captain’s promotional exam or eventually be a fire chief is not putting yourself in a position for success. Career development starts the day you get hired and should never stop. If you’re waiting for your department to give you all of the necessary training, education, experience, and mentoring to be successful, you’re missing the mark and will sadly be left behind. This can cause you to lose out on valuable opportunities that will go to those who have taken the time to plan ahead, have a vision, and take the time to support and focus on where they want to be in their career, not just today, but 10 or 20 years from now. Some people are looking for a road map to be handed to them on the first day they are hired, but that really isn’t the case. 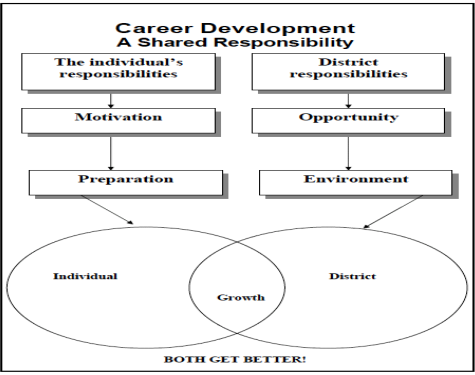 In a perfect world, career development is a shared responsibility between the individual and the fire department. The individual needs to step up with motivation and passion, and a willingness to learn and be mentored by others. The individual needs to prepare themselves to be the best they can be regardless of their rank, and make themselves available, and ready, for opportunities that may become available to them throughout their career. A fire department needs to provide opportunities to their personnel, as well as an environment that is conducive to learning and growing. Opportunities may be in the form of promotional processes, 40-hour assignments at the administrative offices, training and educational sessions on site or locally, tuition reimbursement programs, or educational incentive programs. Mentoring is an incredibly important part of career development. 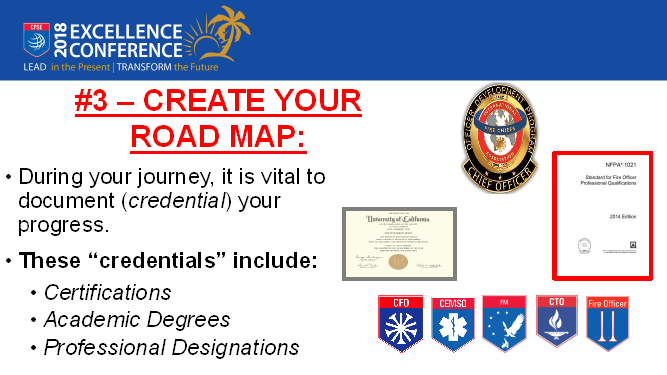 Leaders of all ranks (firefighter up to fire chief), serving as mentors and role models to everyone from the newly hired firefighters to the most senior members can provide invaluable insight into how to create your own career development plan. Also, this is an opportunity for you to help others around you by serving as a mentor and passing on your experience. Mentors aren’t always within your own agency or even within the fire service. There is so much to be learned from others, for example, in the business or non-profit world. The knowledge you can gain is not limited to a certain genre, you can pick up a wealth of information from other walks of life. With the Internet, you can find TED Talks on YouTube, stories on LinkedIn, and network with others through social media to gain information and inspiration. Training and education by themselves does not equal success, nor does experience by itself equal success. Let’s take it a step further – training, education, and experience (combined and balanced), while definitely important, does not fully guarantee success either. What helps increase the chances of one being successful is their ability to be mentored, guided, and inspired by a variety of individuals from all levels and years of experience from the organization. I have seen fire fighters and officers that, after 20 years, have decided to go for promotion. They have 20 years of firefighting experience under their belt, but they don’t have the mix needed of education or management experience, it takes a blend of so many different areas all rolled into one. You might be able to promote successfully at the lower ranks with a narrow range of experience or education, but as you move into the higher ranks, it is going to require a more comprehensive and broader approach. So often it doesn’t just come down to X years of firefighting, or the number of college courses or degrees, or your experience supervising and managing people. What it often comes down to is how you fit into the organization – and you can’t teach “fit.” And what may not “fit” at one point in time in an organization may “fit” later. A well-rounded fire fighter or officer is the one that is going to have the best chance of advancement when the opportunity presents itself, and it is so important to not give up too soon. There is a position out there for every one of us, and sometimes it may not be within your own agency, but outside of it. If done collaboratively, it’s a win-win situation for everyone, including the communities we serve. Now, I realize some individuals expect to be spoon-fed or have their training paid for, their overtime paid for to attend training off-duty, and their hands held throughout the process of doing their job or preparing for a promotion; this is not about them. I don’t say that negatively, just realistically. Sadly, since that is the attitude of some, because of the lack of funding to support career development, some departments just choose to do nothing, or minimally provide opportunities to their personnel. Don’t get me wrong, I wish we had the proper funding to assist our personnel meet and exceed their career goals. But, since over 90% of a fire department’s budget typically goes to wages and benefits, training and education budgets are usually very minimal, at best, and often are one of the first things to be cut during tough economic times. Part of it is the culture within the fire service, a mindset that we need to work on changing. And we need to get buy-in from the troops, because if we don’t have that, then it just isn’t going to happen widely within an organization. We have to look for those progressive leaders, at all levels within a fire department, to help in creating the change of continual improvement. And no one-size-fits-all, we have to be sure to look at our organizations, our personnel, and determine what strategy would work best. If we tie this into Accreditation and Credentialing, then we are really doing the right things for the right reasons. I’ve known those terms sometimes turn people off, or even confuse them. When I use the term “best practices” instead, it usually helps others understand the benefits of those two terms. Personnel of all ranks need career development, regardless of whether or not they ever desire to promote, and have an obligation to pay it forward, and help set those we hire today up for success in the future. Things such as mentoring or offering career development advice do not cost any money, just time and energy. Those two things can and should be done by everyone. If we are not sharing our personal lessons learned over the years with our personnel, how do we expect them to be successful in the future? What was Albert Einstein’s definition of insanity? Doing the same thing over and over and expecting different results? Steve Prziborowski currently serves as the Deputy Chief of Training for the Santa Clara County (Los Gatos, CA) Fire Department, and is also an instructor for the Chabot College (Hayward, CA) Fire Technology Program. 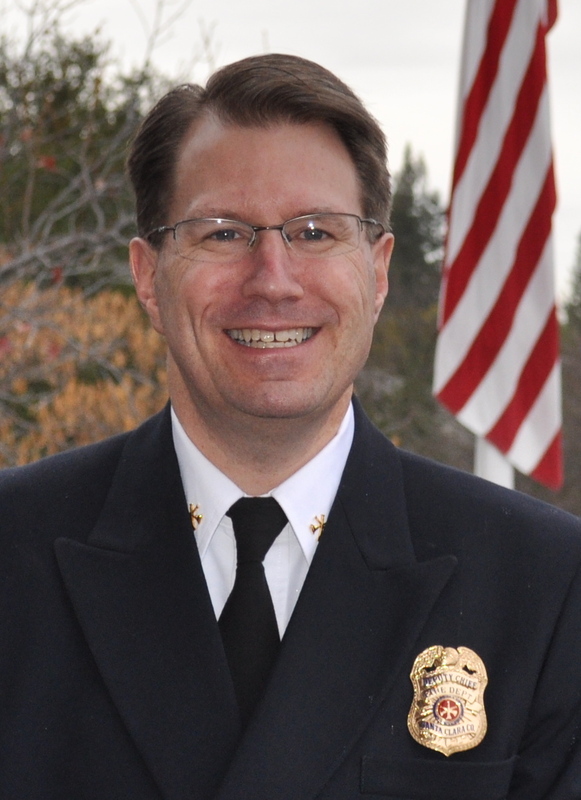 Steve was named the 2008 California Fire Instructor of the year, is an Executive Board Member for the California Fire Chiefs Association serving as the Northern Division Director, and is a Former President of the Northern California Training Officers Association. Steve is a state-certified Chief Officer and Master Instructor, has earned a Master’s degree in Emergency Services Administration, has completed the Executive Fire Officer Program at the National Fire Academy, and has received Chief Fire Officer and Chief Training Officer Designation through the Commission on Professional Credentialing. Steve is a contributing editor to Firehouse Magazine and Fire Nuggets Magazine, is a regular speaker and presenter at fire service events and conferences across the country, and has published three career development books: Reach for the Firefighter Badge, The Future Firefighter’s Preparation Guide, and How to Excel at Fire Department Promotional Exams!